It’s that time again. 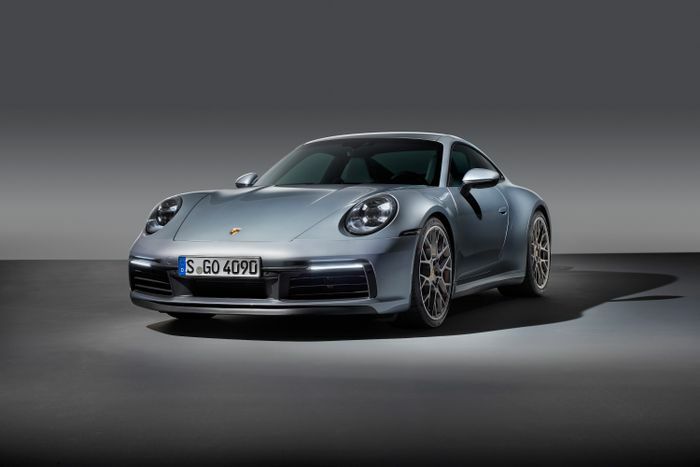 Porsche has released an all-new 911, which means every motoring publication in the world will be inundated with comments about it looking ‘exactly the same as the old one’. 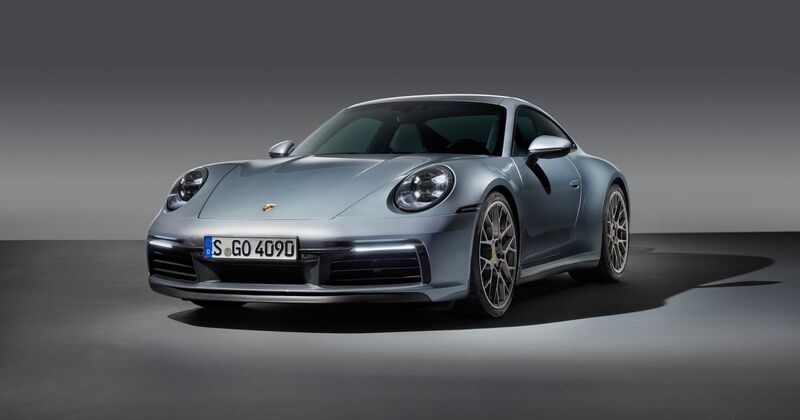 But while it’s another evolutionary styling effort from Porsche - understandably so, since Stuttgart doesn’t want to mess with the recipe - this one immediately looks meaner on first glance. This isn’t just down to those giant new grilles at the front: it’s also now quite a bit wider. The 991 already grew substantially in width over the 997, and this ‘992’ is a further 45mm wider when measured at the front. What’s more, there’s no longer a narrower body for the Carrera 2 models: all will get the same massively flared arches you see here. You don’t need to worry about the wheels getting lost in those arches either: the standard-fit wheels are now bigger, measuring in at 20 inches in diameter at the front and 21 at the rear. The body is almost entirely made from aluminium, and now includes a much bigger variable position active rear spoiler than before. Below it, you’ll find a giant light bar stretching across the back of the car. There’s no word on how powerful the base Carrera will be, but we do know the Carrera S has been given a handy 29bhp boost from its 3.0-litre twin-turbocharged flat-six, bringing the total to 444bhp. That’s sent through a new eight-speed PDK automatic gearbox, replacing the old seven-speeder. Don’t panic: a manual will be joining the range soon. 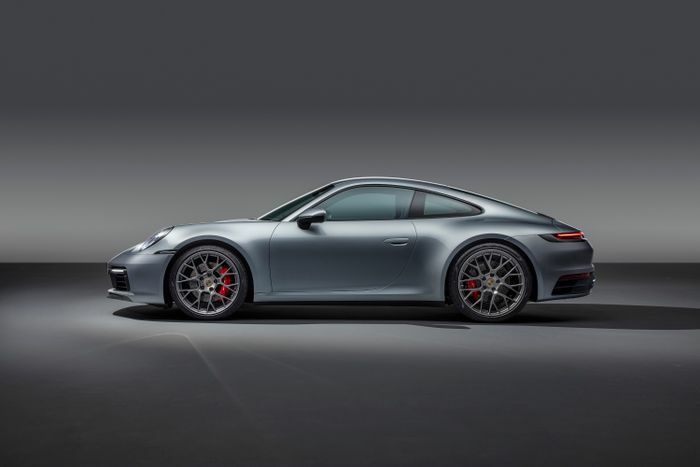 Traditionally, the 911 Carrera has always been described as a sports car, but when it comes to performance stats, this new one looks more like a supercar. The all-wheel drive 4S will dispatch the 0-62mph sprint in 3.6 seconds, or 3.4 seconds if you’ve specced the Sport Chrono Pack. The standard rear-wheel drive coupe isn’t far behind: it’ll do the same in 3.7 seconds, and just has the bragging rights in terms of top speed: it’ll top out at 191mph, while the 4S runs out of ideas at a ‘mere’ 190. When you’re not trying to smash 62mph in under four seconds, the 992 should be able to return beyond 30mpg. The official figures are 31.7mpg for the Carrera S, and 31.4mph for the 4S. These have been obtained via the new, more realistic WLTP test procedure, which means you actually have some sort of vague chance of matching them IRL. On the inside, you’ll find that - sadly - the beautiful set of physical dials used in the 991 have been binned. There is still a proper rev counter, however, but just like the Panamera, Cayenne and Macan, it’s now flanked by two multi-function displays. 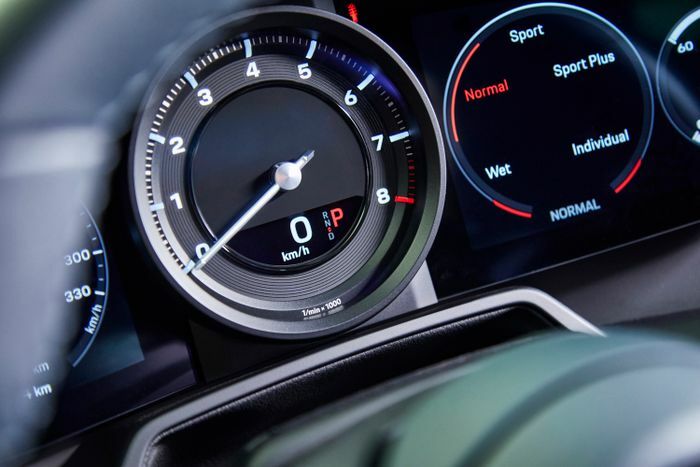 A 10.9-inch infotainment screen makes an appearance too, along with tech additions including a Wet mode that detects water on the road and “preconditions the control systems accordingly,” a thermal imaging camera, and autonomous emergency braking. Like the sound of all that? The 992 911 is on sale now, with the range starting at £93,110 for a Carrera S, rising to £98,418 for a Carrera 4 S. Eventually, there’ll be a base Carrera, Convertible and Targa versions, track-friendly GT models, at least one hybrid and maybe even a new Carrera T, creating a range so complicated, Stuttgart University will have to launch a Porsche 911 bachelor’s degree just to help people understand it. 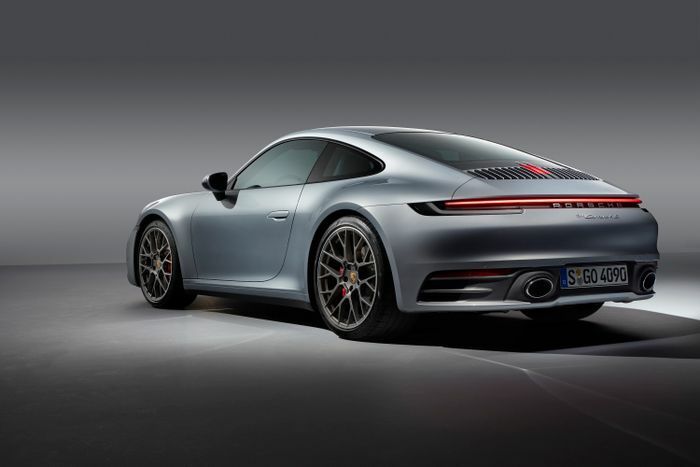 If £93k and up is a little beyond your reach and you can settle for just gawping at that new spoiler going up and down, the 992 will be on display at the Los Angeles Auto Show from today.